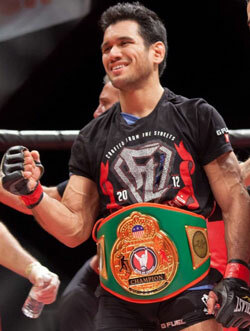 Patient Alert: Phillipe Nover ROC lightweight champ. On Behalf od Dr. Baio and the staff at Performance Edge Chiropractic we’d like to congratulate Phillipe Nover on becoming the new ROC lightweight champion. Phillipe won the title by way of rear naked choke in the second round on January 23, 2015 at the Tropicana in Atlantic City, NJ. This was his first fight in nearly two years and what a way to come back. We wish him all the best as he continues to climb that MMA ladder once again.